One of my favorite holidays to celebrate with my family is Christmas. 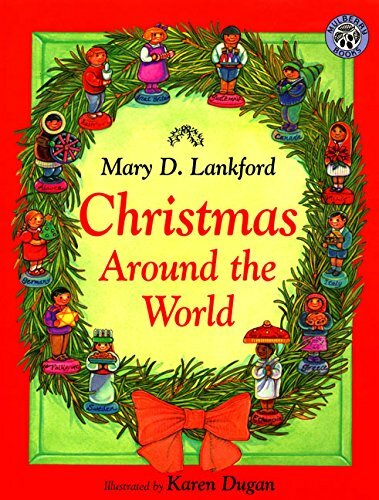 It’s a holiday that is filled with time-honored traditions, such as decorating the Christmas tree, setting out all of my nativity scenes, beginning Advent, watching all of the Christmas classics (Rudolph and Frosty and the Drummer Boy – oh my! ), celebrating St Nicholas Day, baking and cooking, and of course shopping. Those are just a few of the traditions that are popular here in the United States. 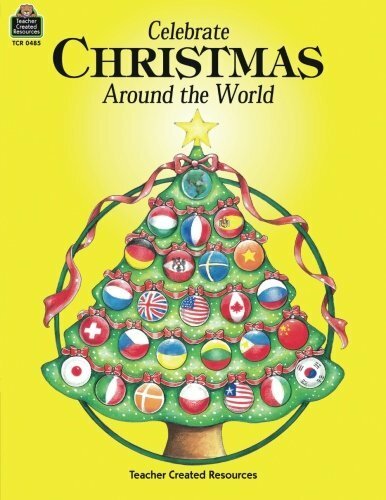 However, I also love learning about how people from all over the world celebrate. 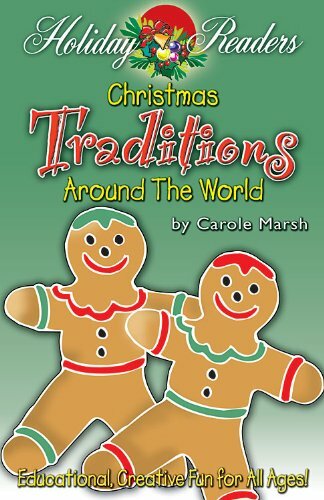 Here are just a few examples of unique Christmas traditions from around the world. Whereas many of us are excited to show off our turkey roasting skills for Christmas, chicken is the main entrée in Japan. The story is that a group of people who were visiting Japan in 1974 couldn’t find their requisite turkey on Christmas day, so they opted for chicken instead. KFC took this as an opportunity to do a bit of ingenious marketing. They launched a campaign called “Kurisumasu ni wa kentakkii!” (which translates to “Kentucky for Christmas”). They promoted a Christmas special that included chicken and wine and people apparently loved it! To this day, people in Japan celebrate Christmas with a bucket filled with KFC, cake, and champagne. How many people, you ask? An estimated 3.6 million families! Boasting the third largest population of Catholics in the world, Filipinos are known for having what is probably the longest Christmas season in the world. Beginning the festivities on September 1st and drawing things to a close as late as the 4th week in January, that is nearly 5 months of Christmas spirit! As the big day draws closer, they celebrate with 9 days of dawn Masses called the Simbang Gabi, spanning from December 16th until Christmas Eve. Vendors gather outside churches each morning to sell mass attendees tasty native delicacies for breakfast. On Christmas Eve (Bisperas ng Pasko), they celebrate with a Midnight Mass and a traditional feast called Nocha Buena. Loved ones often exchange gifts and then carry the celebrations over into Christmas day. Christmas day is usually filled with visits to family (especially elder family members), a festive lunch, and a final Mass, the Misa de Gallo, that takes plate late at night. In France, different parts of the country have their own traditions. In the south of France, they celebrate with Les Treize Desserts (the 13 desserts). The desserts represent Jesus Christ and his 12 apostles. The dishes vary depending on where you live and your family’s traditions, but you are likely to find traditional desserts, nougat, and plenty of dried fruit. Meanwhile, in Northern France, vendors set up Christmas markets to sell an array of Christmas treats. On December 6th, “St. Nicolas” walks around town handing out sweet treats to children. 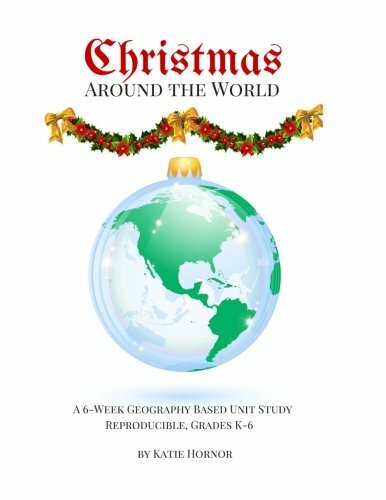 All over, France, people celebrate Christmas Eve with a Reveillon in which family and friends gather together to bring in Christmas with food, wine and good times. One Italian tradition that has been practiced for thousands of years is that of La Befana, also known as the Witch of Christmas. The story goes that the Three Magi (the Three Wise Men) traveled across the land to bring their gifts of gold, incense and myrrh to baby Jesus. As they traveled, most people ran out to greet and join them. One old woman, however, was so busy cleaning her home that she missed her chance. She tried to rush out to join them with her gifts and a broom in her hands only to find out that they were gone. Ever since then, she can be found flying around on her broom, leaving the gifts meant for baby Jesus for good children. Just as with Santa, you can often find “La Befana” handing out gifts on Epiphany Eve (January 6th). 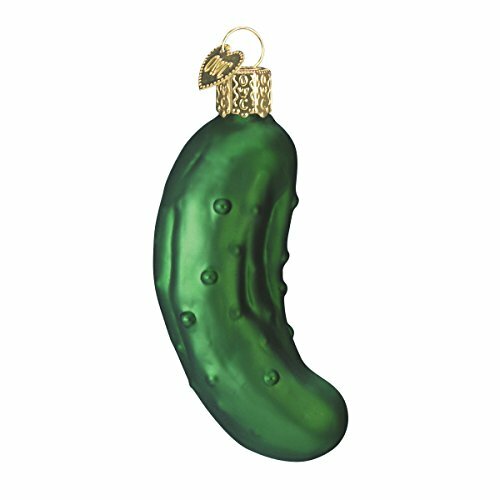 In some parts of America, you may find children excited about finding “the Christmas Pickle,” a Christmas tree decoration that is shaped like a pickle. The peculiar ornament is hidden somewhere on the tree and the child who finds it gets to have an extra gift. The exact origins of this odd (yet fun) tradition are still unclear. One theory is that it is the result of a marketing campaign by Woolworths when they found themselves with a large stock of glass-blown vegetable ornaments that they needed to sell. Others trace the tradition back to Germany (who does not seem to claim the original story). Whatever the origin may be, it seems that many people have adopted the tradition for their family. Apparently threats of coal isn’t severe enough for the people of Austria. In a Christmas tradition that is more reminiscent of Halloween, jolly old Saint Nick is accompanied by a demon named Krampus. While Santa doles out goodies to the good kids, the Krampus metes out punishment for the naughty ones. Some people even dress up as Krampus during the holiday season and take to the streets, frightening children. Finnish people use the Christmas season to remember loved ones who have passed away. It’s common to find cemeteries filled with graveside candles left by people who came to visit. It is said that it is a beautiful and tranquil sight that nearly 75% of the population takes part in, especially on Christmas Eve. I think there is something beautiful about taking time to remember your entire family on Christmas – even if some of them are no longer with us. The Portuguese also take time on Christmas to pay their respect to loved ones who have died. During their Christmas feast, Consoada (aka “Reunion of the Families”), they set an extra place at the table for relatives who have passed away. On each of the 13 nights between Christmas and Epiphany (January 6th), children leave a shoe in their bedroom window. In the morning, they find a sweet treat that has been left behind by one of 13 Yuletide Lads, who are known to be merry yet mischievous. At least that has been the tradition ever since 1746, which is when a law was passed that banned parents from telling a creepier version of the legend. In Britain and Ireland, Christmas pudding (aka plum pudding) is a major tradition that can be traced back to medieval times. The last Sunday before the advent season is designated as “Stir Up Sunday.” This is the day when the family gathers together to make the pudding. The pudding is made up of 13 ingredients (including lots of fruit) to represent Jesus Christ and his 12 disciples. Each member of the family would take a turn stirring the pudding from east to west to represent the journey of the Three Wise Men. Tradition also calls for a coin to be added to the mixture to bring luck to whoever found it. The pudding would set until Christmas day when it is steamed to reheat it. Then brandy is poured over the top and set on fire (to represent Christ’s passion). Of course, once the fire is out the family digs in, being careful not to swallow the hidden luck coin. 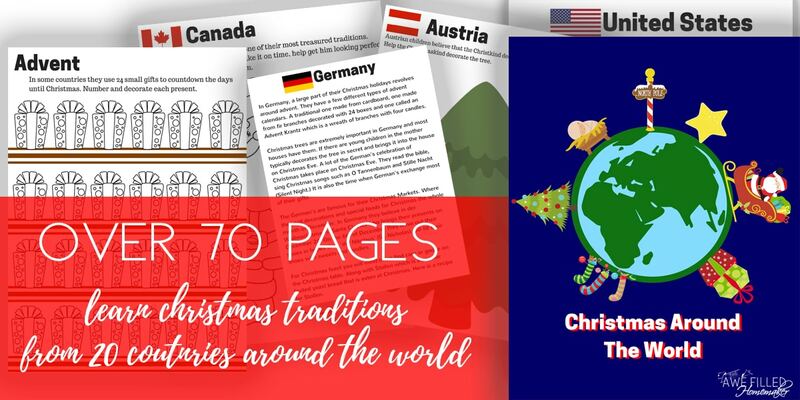 These are just a few unique Christmas traditions from around the world. Now, I’d love to know a bit about how your family celebrates Christmas. Comment on social media or send me an email to let me know. What a great thing to bless two families with the giveaway! 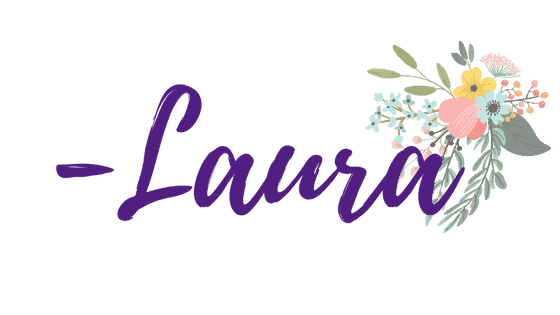 We are also a homeschooling family and would love a chance to bless others. Work slows down this time of year for my husband and since I homeschool, it is hard for me to contribute much to our financial situation. This would be a great blessing for our family. Thanks for the awesome giveaway! We’re currently hosting foster children in our home and are eager to add more to our family. We have the pickle tradition but allow the finder to open their present first rather than giving them an extra present. What an exciting giveaway!Happy Holidays to you and yours. We have had our challenges and struggles these past few years. God however has always provided. Although this would help us greatly I pray that the winners are ones truly in need the most. God Bless everyone and thank you to all being so generous! What a blessing this is to those who receive it! We just had our 2nd born and I’ve been off work for maternity and recently bought our first house. Would love to use it as we minister to others that come to our home (mostly our teens that we disciple as youth pastor & wife). Our family is going through a very rough patch right now and things are very tough. This would be a wonderful blessing to help us through this holiday season. Thank you! This would be so helpful to us this year as we’re trying to pay off some debt and budgeting for Christmas! This would be helpful to make Christmas a little extra special since my husband just started a new job after being out of work and money is a little tight.